It's been nearly a year since I profiled South Holland rapper Dikembe Caston (aka Kembe X) and his collective, the Village, and the MC and the rest of his crew have slowly been working on new music since that B Side article came out. Caston and his frequent Village collaborator Alex Wiley released a joint EP, Can I Borrow a Dollar?, back in March, and since then they've dropped a handful of one-off tracks and videos. Now Wiley is readying his debut full-length mixtape, Club Wiley. 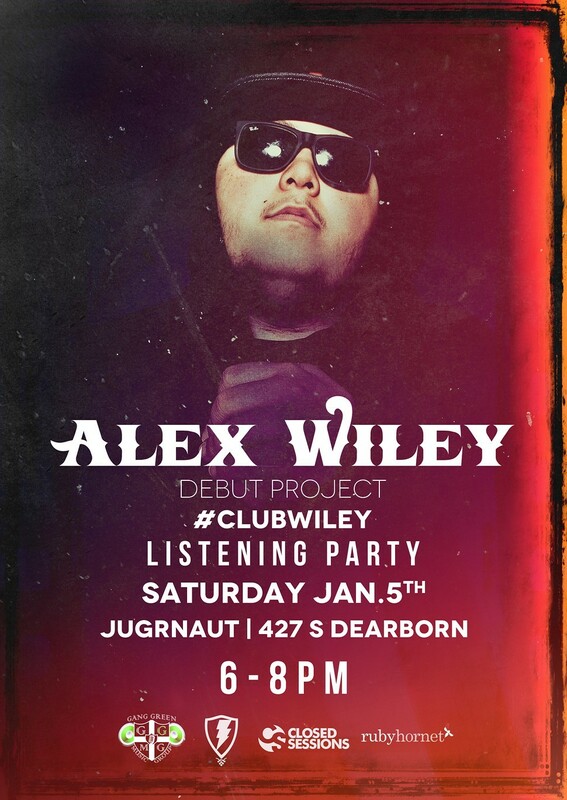 On Saturday evening local streetwear brand Jugrnaut will host a listening party at its boutique in the Loop. Wiley says he might perform a couple songs during the party, but he'll mostly be playing music, including the 16 songs that make up Club Wiley. The MC got a slew of folks to rap on the mixtape, including Freddie Gibbs, Raekwon, Chance the Rapper, Kids These Days' Vic Mensa, recent Stones Throw signee Julian Malone, the Village's Monster Mike, and Jean Deaux. Yesterday, GoWhere Hip Hop premiered Ruby Hornet recently premiered a Club Wiley cut called "Swish"; stream it below to prepare for the listening party, which kicks off tomorrow at 6 PM.